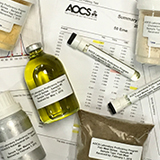 AOCS offers a wide array of products and services vital to running a quality lab. From methods on olive oil, to custom consulting services, we serve the whole of the fats and oils industry. 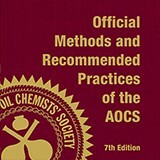 Official Methods and Recommended Practices of the AOCS, 7th Edition. 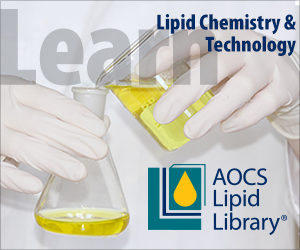 Hundreds of labs around the world use our fats, oils, and lipid related analytical methods. The 7th Edition contains over 450 methods critical for processing and trading. 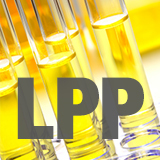 The AOCS Laboratory Proficiency Program (LPP) satisfies ISO 17025 requirements for participation in an interlaboratory comparison program. 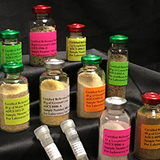 Analysts receive samples throughout the year and use AOCS or similar testing methods to analyze for target constituents. Reports are generated following ISO 13528 guidelines and are used by participants to demonstrate competency. 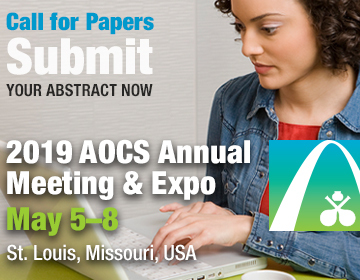 AOCS uses rigorous guidelines to approve chemists and laboratories. Using a certified lab or an approved chemist ensures that you will receive quality results. 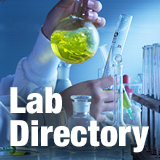 Use this directory to find AOCS recommended labs in your region and around the world. Regulatory bodies dictate how and when genetically modified crops are allowed to be grown and imported. AOCS provides Certified Reference Materials (CRMs) for commercially available crops. These materials are used in testing to verify the presence or absence of the desired trait. This program is accredited to ISO Guide 17034. Quality Reference Materials (QRMs) are samples from the Laboratory Proficiency Program. Reports containing the mean and standard deviation are provided with the samples. These samples come with full analytical reports. They can be used for quality assurance testing and internal quality control.